They'd driven from Kentucky to Michigan and planned to paddle on the Upper Peninsula for eight days. But in just one night out there, Cole was covered with mosquito bites. (Seriously, poor guy was just covered head to toe!) So they packed up and started driving to find another paddling spot. Then, they stumbled upon us. 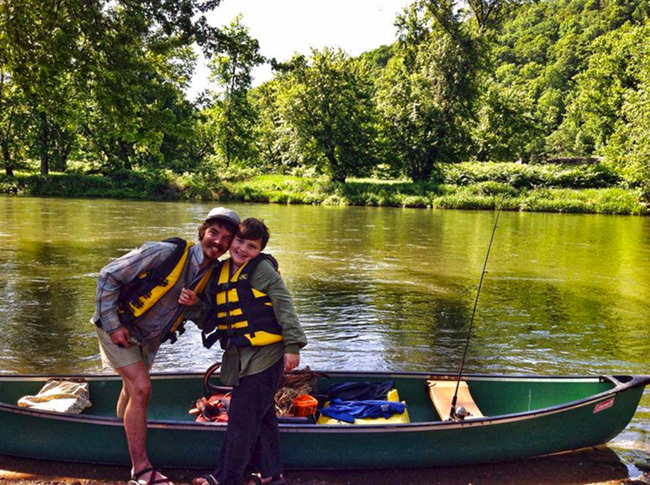 As we finished up a float plan for their 8-day adventure on the Allegheny, we asked them what brought em out on this grand adventure in the first place. That's when Cole took over. Cole's mother had passed away unexpectedly in front of him just before Christmas. All he could say to us over and over was, "I didn't know she was dying in front of me." Needless to say, we were all teary-eyed, and for lack of better words, really shared a moment in the little hut at AO livery that day. And although it certainly doesn't fill the giant hole in our hearts, being able to help Cole and Uncle Joe get out into nature to find some sort of peace for eight days, to help play a very small part in the healing process, certainly made our hearts happy.